While that’s an interesting description Bess Truman has about coots, whom I’m assuming include our founding fathers, I’m referring to the one that flies, The American coot. 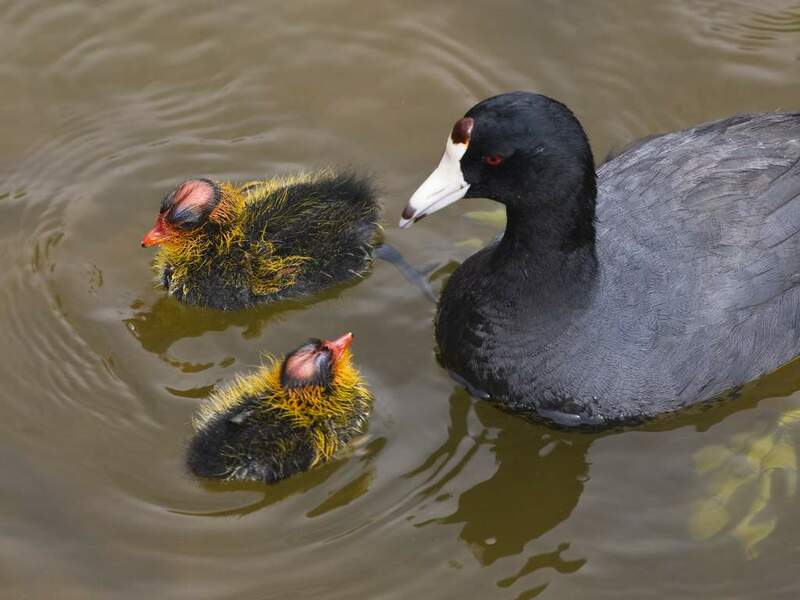 Coot with its unlikely looking offspring. I frequently see coots when I’m out birding wetland and lake areas. They’re so easily recognizable that I don’t spend as much time observing them as I might. They’re clunky looking birds whose feathers range from slate-gray to black. While they look kind of like ducks, coots belong to the rail family. One of the times, when I did take the time to study them more closely, was when I saw a pair of the coots share some food with three small floating companions. The fluffy chicks, looking nothing like their parents, had bald scarlet heads and wore wiry looking orange necklaces. According to David Attenborough, in his book The Life of Birds, the American coot tends to feed the chick first that has the most brilliant red head, which may be why a third of the coots that hatch die from starvation. Since I only saw three chicks, and a coot mom can lay nine or more eggs, I suspected this natural selection had already taken place. Meanwhile, during my observations of the coots, I came a little too close to the one nearest the shore. It took off like a World War II fighter plane after it had taken a few hits in the engine, giving me a view of its over-sized lobed feet, which were a neon lemon-lime in color. There really is a lot to enjoy about these birds, I decided. 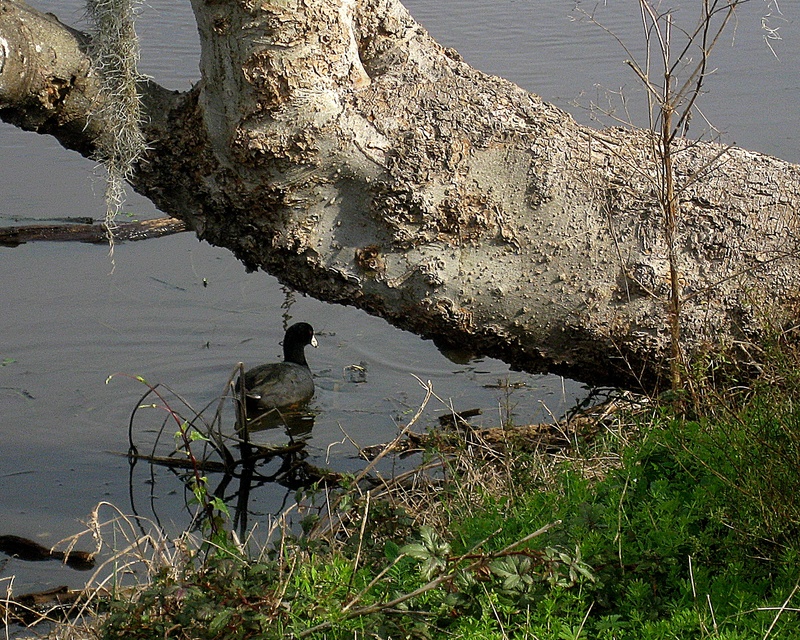 You just have to give a coot. 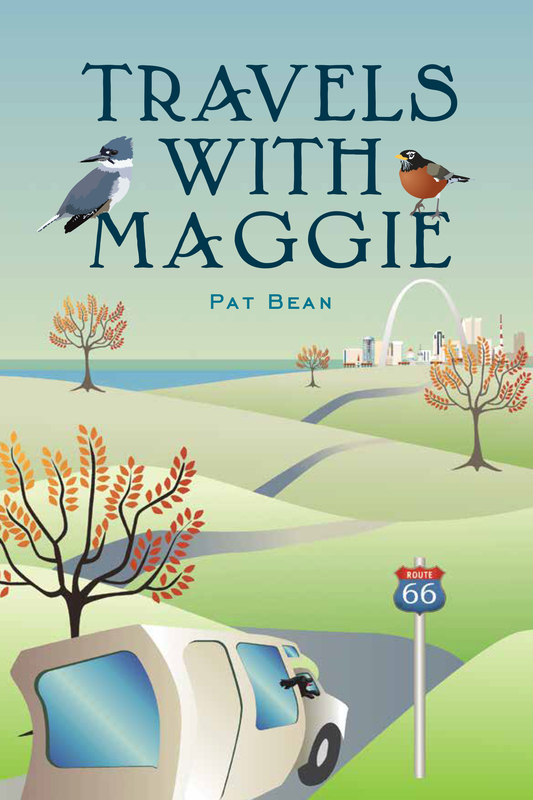 Bean Pat: A Writer’s Path https://tinyurl.com/yd5hzned I used to have a sign over my desk at work that read: “Just because I’m not writing doesn’t mean I’m not writing.,” which may be why I dig this blog.